The first thing we must do before attempting to understand Avicenna's "Flying Man Argument" is to lock away what we have read from Descartes and hang up the key. At first it would be tempting to draw parallels with Descartes' famous First Meditation. In his own thought experiment, Descartes too sheds away the outer world, its sensations and perceptions, and ultimately his own body until all that remains is the "I", the thinking being which is aware of its own existence. However there are key differences between Avicenna's floating man and Descartes "thinking thing". For Descartes, the goal of his experiment was to find at least one truth of which he could be absolutely certain and from which he can then proceed to build his new science in such a way as to rebut radical skepticism. Descartes strips away, as if in concentric circles, all that on which even the smallest doubt can be placed. The world, the senses, and finally even the body itself are doubted, for Descartes could not rule out the fact that he is only dreaming of inhabiting the body that he does. What he cannot place any doubt on is the fact that he thinks, he cannot be fooled into thinking otherwise. With regards to Avicenna, the difference is subtle, but very important. His argument intends to prove something quite different and comes from a very different starting point altogether. To begin with Avicenna also places doubts on the existence of the world. But it is not the radical skepticism of Descartes, where reality is deceiving and the subject finds themselves unable to determine whether they are waking or dreaming. The world does exist for Avicenna, but his examinations were into why it exists, a question which would have puzzled the First Teacher (Aristotle). For Avicenna, the entire world is itself contingent and is necessary not through itself, but through another, a Necessary Existent. It is this Necessary Existent which is the ground for all reality as we see it, not the Efficient Cause of Aristotle or the Neo-Platonist Final Cause. When Avicenna begins his discussion on the Soul in his Shifa', he begins by observations of the world around him, a contingent world whose necessity, and not being qua being, was in doubt. He tells us at the beginning of his investigation that we commonly observe certain bodies which perceive, feed and reproduce, these are differentiated from other bodies in the sub-lunar sphere such as rocks, fire or chairs and tables that do exist, but are different. It is what can be referred to as living bodies, which concern Avicenna. These bodies possess what he calls "a principle for the issuance of any actions that do not follow a uniform course devoid of volition". For example fire and air would always move upwards whilst water and earth downwards. This principle, he calls the soul, and it is the necessity for why living creatures move, reproduce and feed, even if it is not the actual cause. Here it is important for us to look at the key phrase in the flying man argument and understand what it is that Avicenna wants us to grasp, "...and you know that what can be asserted as existing is not the same as what cannot be asserted and that what is stipulated is not the same as what is not stipulated". For Avicenna, to assert that the self exists, that it is real, is not the same as asserting that square circles exist. Just as the world itself is exists and we cannot doubt that this is true, it is to be taken as evident that the self exists. Furthermore, in thinking of body parts it would not follow that these would naturally be connected to his self, nor would they appear to be necessary for his self to exist, for that is far from obvious that they do. Whilst it can be stipulated that sight would require an eye, or hearing would require ears, it is not stipulated that the self would have a body, even though, for the most part, we do have one. This is the crux of his floating man argument, the self or soul can be imagined abstracted from a body. The body is not necessary for the souls existence, though the opposite is true if we are to have a living animal or plant. For Avicenna, the soul is like a form, but the form is used in reference to matter and it is not enough, this soul he speaks of is a perfection of the body. Like a captain to a ship or a ruler to a city, each is a perfection of something though they are not the form of it. In this way, Avicenna wants us to know that a soul is the perfection of the body. 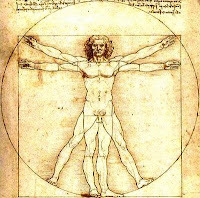 It is "...a first perfection of a natural body possessed of organs that performs the activities of life." We commonly observe certain bodies perceiving by the senses and being moved by volition; in fact we observe certain bodies taking in nutrients, growing, and reproducing their like. That does not belong to them on account of their corporeality; so the remaining option is that in themselves there are principles for that other than their corporeality. This is how Avicenna begins his investigation, and where the circular argument of those who deny the existence of a principle called "soul" eventually leads them. When Avicenna is telling us that this same principle is responsible for the issuance of any actions that "do not follow a uniform course devoid of volition", he is attacking the strict determinism which the proponents of a material and only biological view of life express. Avicenna is telling us that there is a principle which is beyond the material, beyond the formal which is inseparable from the matter, a principle that perfects life and makes it what it is - necessary. The "I" which is the subject of the flying man experiment is the first perfection of this complete unit of life. It has come to exist with the existence of the human body and the components of life necessary for it, but it then continues to develop and grow through its second perfection, "a body possessed of organs that performs the activities of life". The temporal cage within which this "I" grows to find itself becomes the very key which will allow it to reach beyond the temporal and grasp universals, the true objects of knowledge and philosophy. The flying man argument is intended to remind us that we cannot know empirically what it is that makes living beings qua living beings alive necessarily. We possess this soul, on account of our intellect, at a level much higher than plants and animals. Avicenna gives us a crude method for experiencing what it is he is referring to through this simple thought experiment, which is not telling us much, nor is it supposed to. It is simply a pointer that would allow us, as fellow souls, to begin seeking questions higher than what can be answered through only a cursory reading of the input from our body's senses. Avicenna wants us to demand more from these bodies, to look further inwards to develop that innate "I" that we all experience and from which there is nothing to escape from. If understood in this more sobre light, where we succeed in imagining our souls existing separately from our bodies, Avicenna is successful in his goals and the flying man helps him to achieve this objective. Thanks Jnoubiyeh and Jabi. Good to be back!